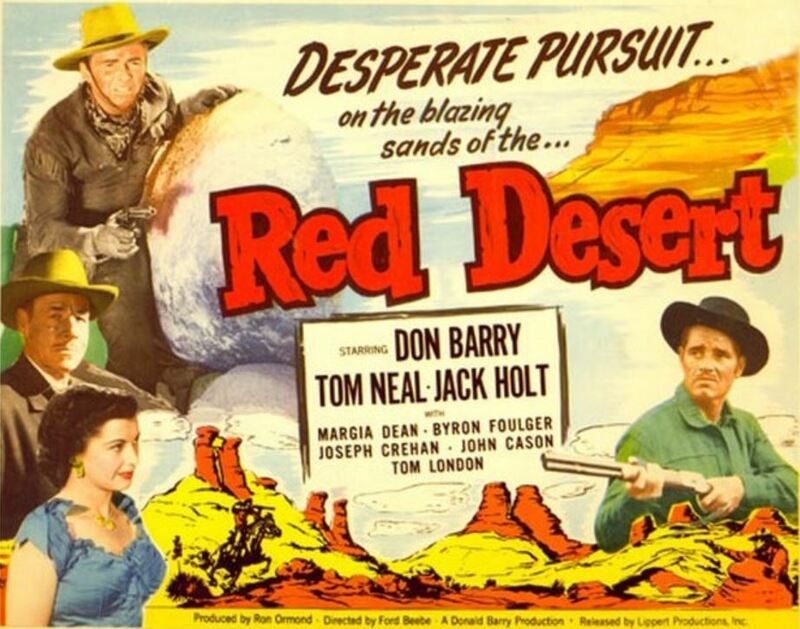 Margia Dean | 50 Westerns From The 50s. 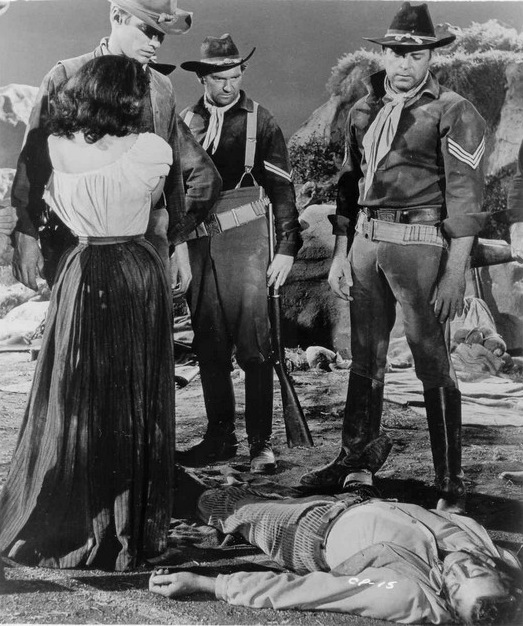 50s Westerns DVD News #128: Ambush At Cimarron Pass (1958) And The Americano (1955). 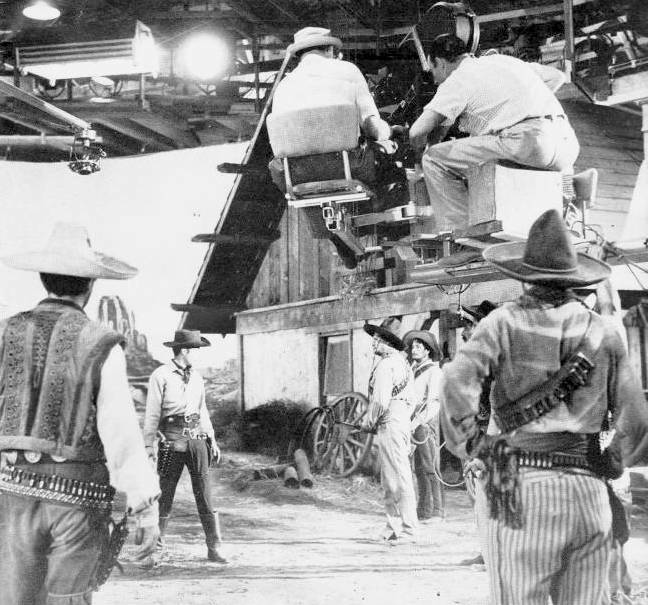 When the Charles Bronson Regalscope Western Showdown At Boot Hill (1958) showed up on Blu-ray, it seemed too good to be true. For decades, it’s been impossible to see these things in their proper black-and-white ‘Scope glory — unless you came across a 16mm print or a bootleg tape made from one. (An adapted ‘Scope print of Escape From Red Rock sits nearby.) Designed to show off their 2.35 format, the Regalscopes are absolutely unwatchable when they’re pan-and-scan. Now we can thank Olive Films for Clint Eastwood in Ambush At Cimarron Pass (1958), set for a September 24 release. Clint has called it the worst Western ever made, though I certainly wouldn’t go that far. 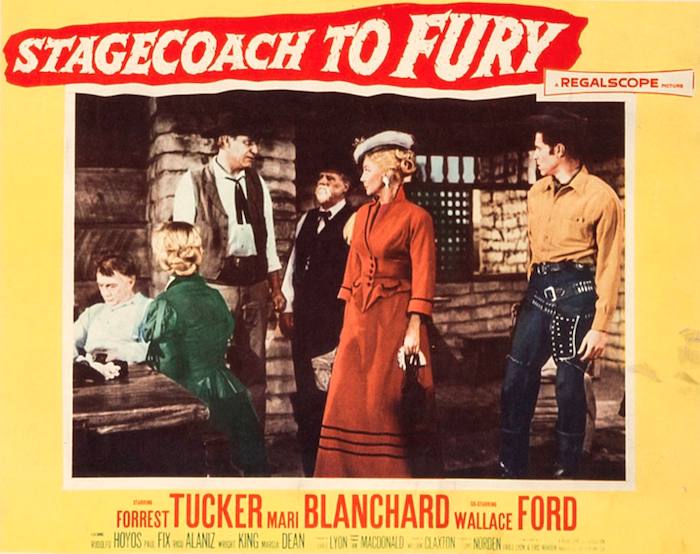 Scott Brady is the star, along with Margia Dean and Eastwood as a young hothead. 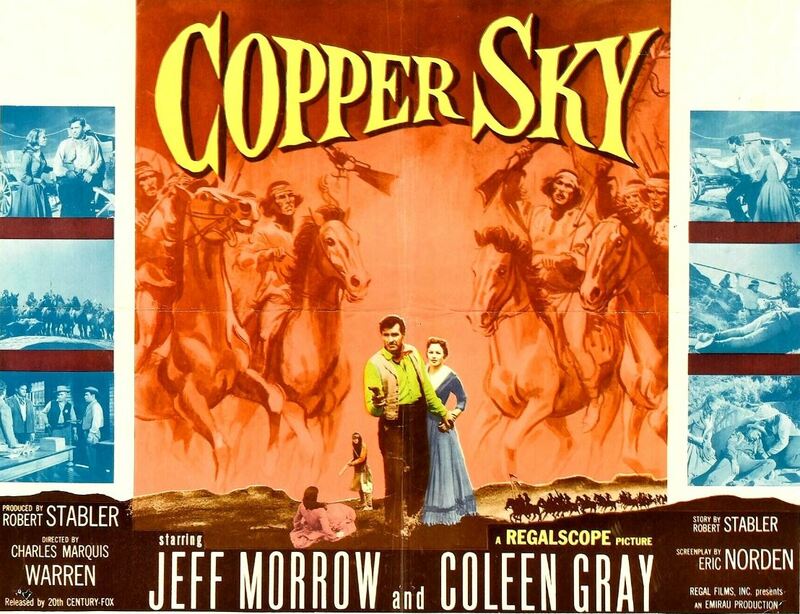 All the Regalscope pictures are cheap — this one isn’t able to rise above its budget in the way Stagecoach To Fury (1956) and The Quiet Gun (1957) do. Of course, an early Eastwood role will be the appeal for most folks. Also on the way is The Americano (1955), with Glenn Ford, Frank Lovejoy, Cesar Romero and Ursula Thiess. 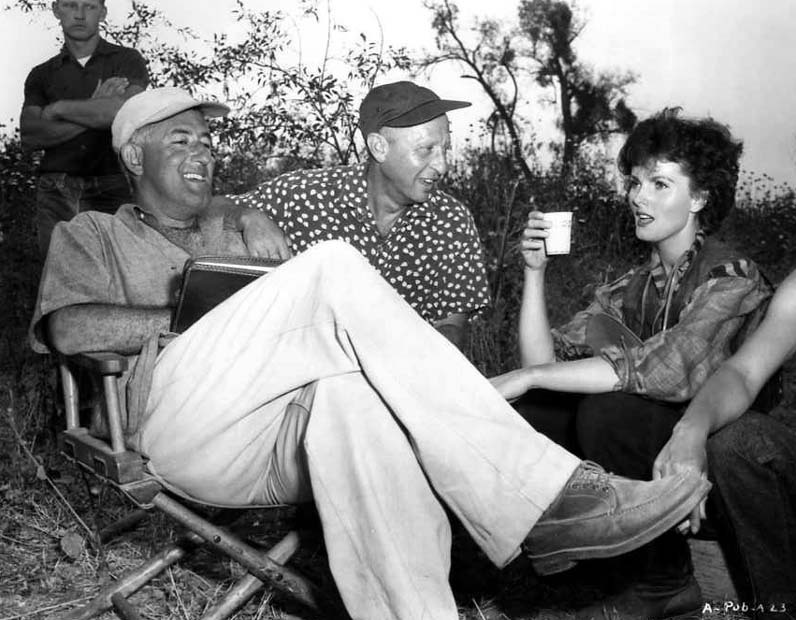 This troubled production was begun by Budd Boetticher in Brazil and finished some time later by William Castle (seen below with executive producer Sam Wiesenthal and Ursula Thiess). 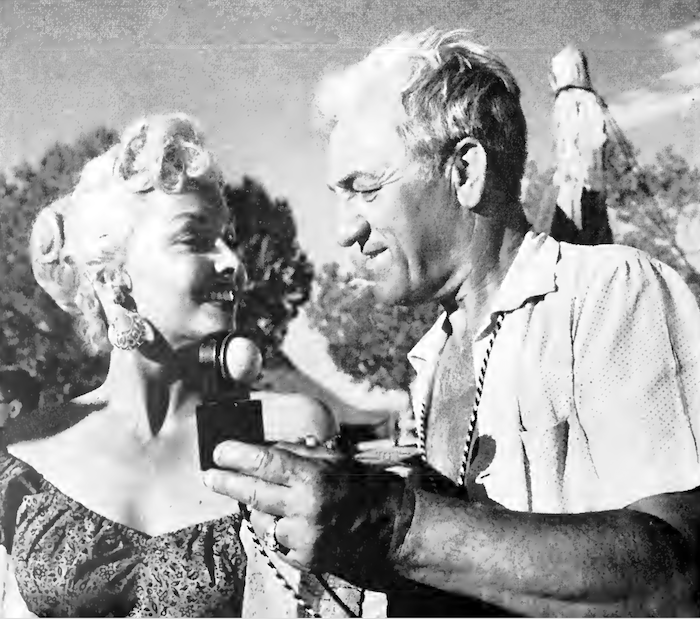 Also on the way is John Wayne, Marie Windsor and Oliver Hardy in Republic’s The Fighting Kentuckian (1949) and Joseph H. Lewis’ The Big Combo (1955, not a Western, but terrific). A word from Margia Dean. 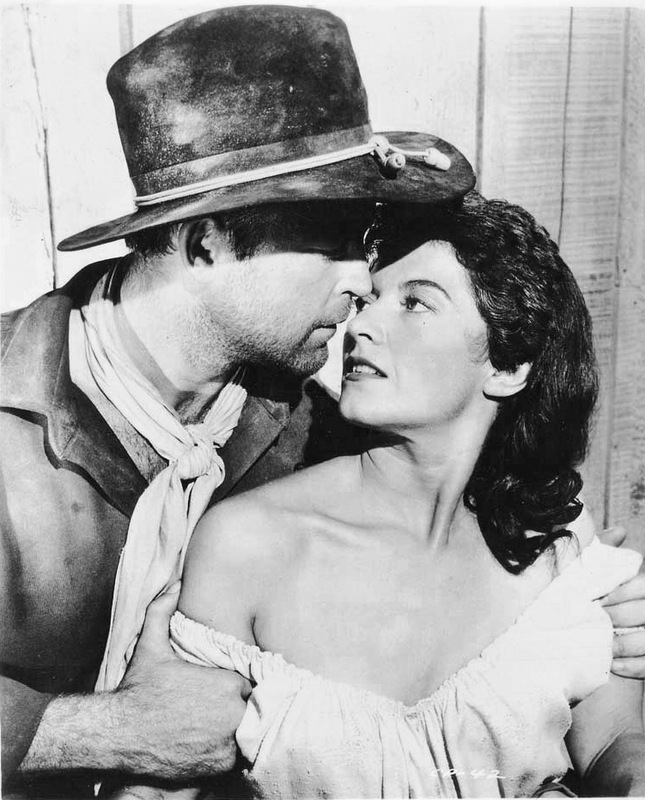 Margia Dean appeared in a number of 50s Westerns, from The Return Of Jesse James (1950) to Ambush At Cimarron Pass (1958, above). She’s also in the Hammer classic The Quatermass Experiment/The Creeping Unknown (1955). Then there’s winning a Shakespearean performance contest at 15, being crowned Miss California and producing a couple pictures in the 60s. I could go on and on.